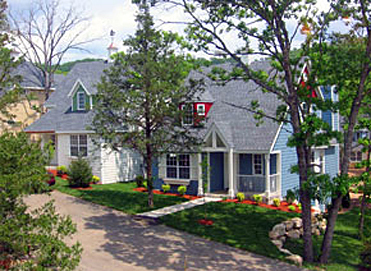 After spending the day fishing or boating on beautiful Table Rock Lake, playing at Silver Dollar City, shopping at more than 200 outlet stores, dining at the Lighthouse Grill, or experiencing all that this live music capital has to offer, unwind at an elegant, yet modern, Cape Cod - style resort. Take in the fresh air of the surrounding Ozark Mountains on a private porch. Retire inside a stand-alone cottage where you will find granite countertops, stainless steel appliances, and a 42-inch plasma television.